2013 final sales numbers are in and again we saw price increases inline with expectations. 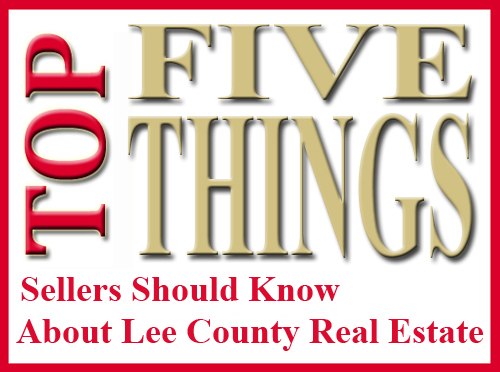 The median sales price of a single family home in Lee County Florida popped up to $177,000, up from $170,000 in November and up 24% over last December’s $142,750. The mean average sale price was only up 12.8% over last year with December 2013 coming in at $269,789 versus $239,186 in December 2012. 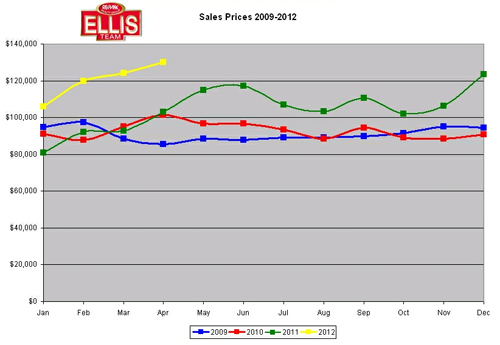 2012 numbers were revised upward about $15,000 so that helped to keep the average down to an increase of only 12.8%. Aiding in the increase to local housing prices is the limited supply of homes, or scarcity as some buyers like to call it. About this time of year inventory begins to rise but last year it was hardly enough to keep up with all the seasonal buyers that arrived. This year it seems the seasonal buyers have arrived earlier, and if they stay as long many are wondering if the inventory levels will hold up. Season sets the tone for the rest of the year. 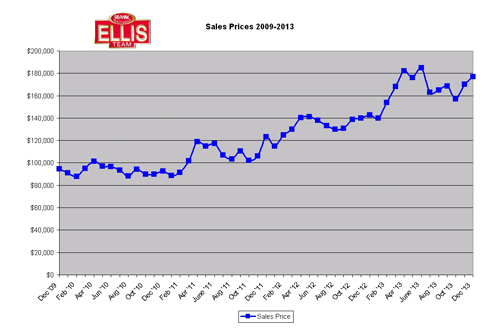 At the Ellis Team we are working on bringing several homes to the market. 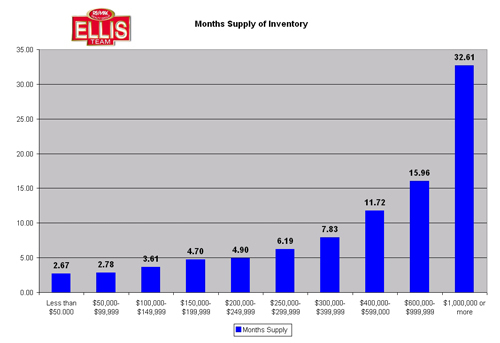 The past several months it seems like we’d list 5 homes per week and sell 7, so inventory levels have gone down for us. Thankfully they are increasing right now for the overall market. Unfortunately in the 6,169 single family homes currently for sale some will never sell regardless of how low the inventory is. This is because some sellers are still overpricing their home even in a good market. This is nothing new, some sellers will always over-price a home and buyers will continue to reject it. What hurts is missing a good opportunity to sell. Some of these over-priced sellers actually do want to sell their home; they’re just misinformed about the market. Either that or they’re under the impression that the seller can always come down but you can’t go up, so they overprice it. In reality, you can go up if it’s priced correctly because a fairly priced home in a low inventory market attracts multiple buyers who may bid up the price. An overpriced home attracts buyers who are expecting more and when they compare the over priced home to similarly priced homes they find they get more value in the other homes. They don’t make offers on the over priced homes, they make offers on the homes that offer more value. This is probably the biggest misconception sellers have about selling their home. When you read in the paper it’s a seller’s market, that’s not a license to overprice your home. It simply means if you price your home at or close to market value, it should attract buyers. This isn’t always the case in a buyer’s market. Many years ago we’ve had listings that were priced properly but due to lack of buyers some homes just sat on the market. It took extra marketing just to get a sniff from a buyer. Of course back then the average time on the market was 9 months or more compared to now. 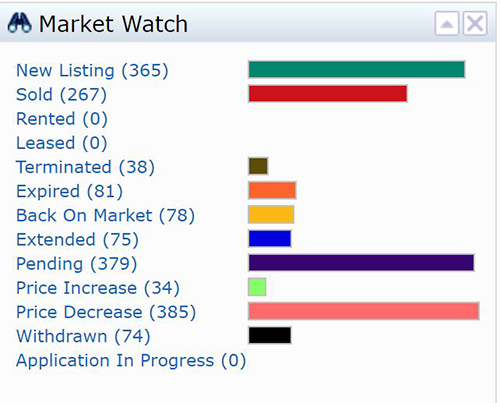 The median time on the market in December 2013 was 43 days. If you’re looking for a waterfront home to purchase, keep in mind our team is waterfront specialists. Not every waterfront home in SW Florida is the same. Some canals have varying depths which limits the size of boat you can have in that canal. Sometimes the waterfront behind your home may be deep but the waterfront entrance to the community may have silted in and restrict the depth at the entrance. Sailboats need more clearance, so you really need to know how much draft your boat pulls, or how much your future boat might pull. We can help you with all your waterfront needs. In the past few months we’ve been on several listing appointments and sellers usually ask how their price range stacks up against the market. Current listings by price range really only tells half the story, so this article will attempt to cover the other half. As you can tell by the published graph, the $100,000-$149,999 currently has the most listings followed by the $400,000-$599,999 range. By looking solely at the graph one might think there is a backlog of homes on the market in the $100-150k range. This just simply isn’t true. Would it surprise you to learn that in that same $100-149,999 range there were 2,670 single family home sales in Lee County last year? That works out to a 3.61 month supply of homes on the market. Conversely, the $400k-$599,999 range had 869 sales last year. This works out to an 11.72 month supply of homes on the market. Even though the $100k range has the most homes on the market, it is a much healthier market because there are more than enough buyers in that range to absorb the inventory. We created a custom graph using the exact same price points to illustrate how each price range is doing. In essence, the lower the price range, the more range of buyers there are for a home and the most demand. 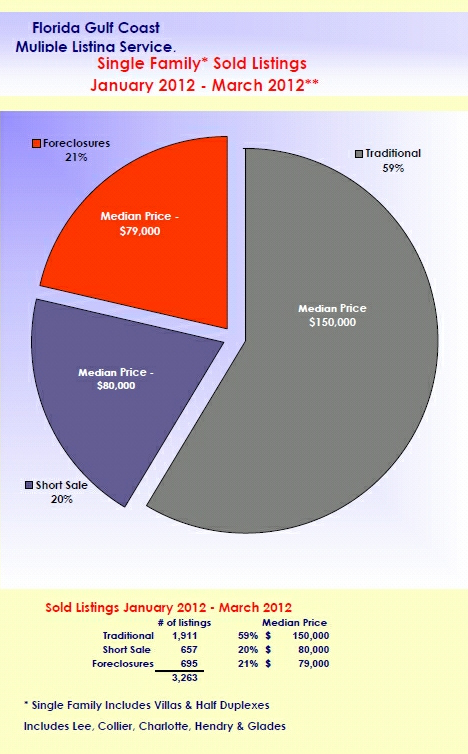 The market is best able to absorb the existing inventory from the lowest price range on up to the highest. If you’re a seller with a million dollar plus home, you have about a 3 year supply of homes on the market that is competition for your home. This is assuming no other homes come on the market. If your home is in the $400,000-$600,000 price range, you have about a 1 year supply of homes on the market as competition. It’s easy to see by the graph how your home rates by price range. This is important knowledge. If you would like to sell a home in 4 months time or less all you have to do is look at what price range you’re in and see what the competition is. If you’re in the $600,000+ range which has a 15.96 month supply of homes on the market and you wish to sell in 4 months or less, it pays to be realistic and price your home more aggressively against the competition. Many home sellers mistakenly believe they can set the price and buyers have to pay it. It’s true, the seller does set the price, but the market determines the value. Buyers are not only shopping your home but many others like yours in your price range. If you have a home to sell it pays to know how much you should sell it for. We compare your home against like kind comparables that have closed recently. We also show you how your home stacks up against other current homes for sale. You never want to under price your home because if you do you just give away your equity to the buyer. You also don’t want to overprice your home either because if you do you’ll help sell your competition and insure your home stays on the market longer, and history proves that homes that linger on the market sell for less than homes that were priced correctly upfront. If you have a house to sell, call us at 239-489-4042. We’ll guide you through the home selling process and cut through all the clutter. Good luck and happy home selling! When you hear the market is falling off a cliff it brings back memories of the past 5 ½ years of a real estate market in free-fall. Anyone reading headlines for the past several years would believe any such headline is another bad story and perhaps would bury their head in despair. 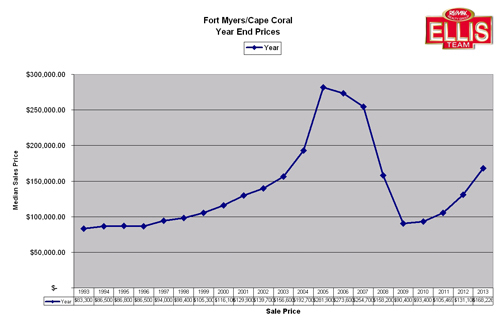 Well SW Florida, a part of the market has fallen off a cliff, and it’s actually good news. Inventory has been eaten up by buyers faster than it has come on the market, and buyers are actually competing with other buyers to buy the best properties. It’s not uncommon for a property to have multiple offers. 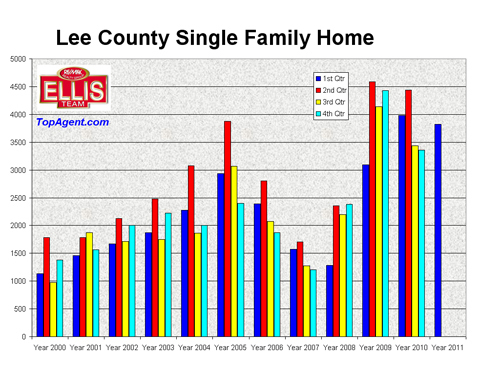 For historical reference, I just checked overall Lee County single family inventory numbers for October 2006 which stood at 12,669. They peaked at 16,694 in February of 2008 and basically held firm until December of 2008 when they began to fall. 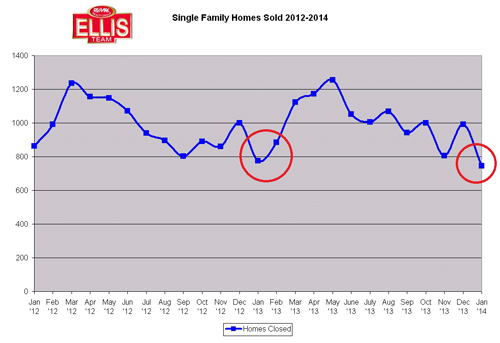 Currently single family home inventory stands at 9,785. 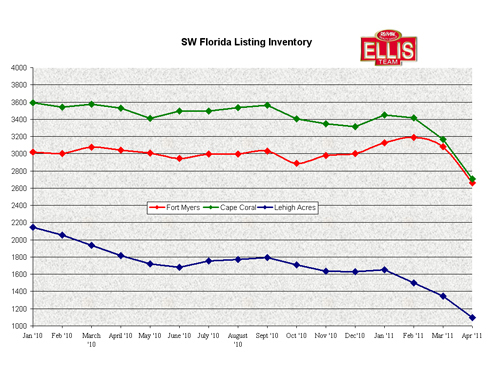 We’ve included inventory charts for Fort Myers, Cape Coral, and Lehigh Acres because overall inventory numbers can be deceiving. You’ll notice there are some minor differences, but for the most part the lines look similar and all three show a steep decline from January 2011 to present. While national news outlets report the rest of the country could be in for a fall, nationwide analysts fail to recognize SW Florida has fallen for over 5 years and is actually on its way up. All real estate is Local, and our market is artificially priced too low, as much as 40% below replacement cost in some instances. As distressed inventory is shrinking, we’ve seen median sales price increases because the market cannot sustain these artificial low prices forever. We do expect more foreclosures to hit the market as the legal system has been working through some challenges pertaining to the validity and legal documentation provided by the banks. We don’t believe however there will be enough foreclosures to satisfy buyers’ appetite and we could continue to see rising prices. We don’t believe the next wave of foreclosures will be as large as the first waves, and our market absorbed all those foreclosures just fine. 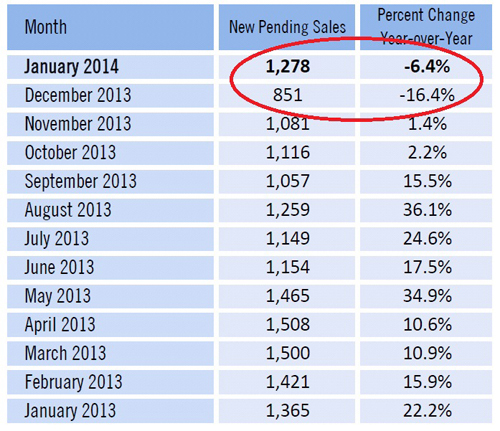 We’ve seen rising prices, increasing pending sales, and decreasing listing inventory for several months now. 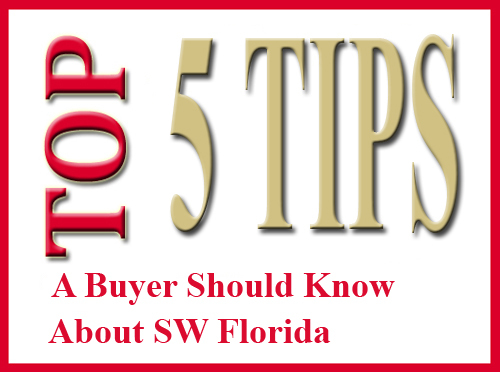 The fundamentals point to a recovering market in SW Florida. Wildcards can always influence any market, such as gas prices, terrorism, the United States mounting debt and its effect on interest rates, inflation, Middle East flare-ups, and so on. Last year we had an oil spill that had the potential to influence our market, and in some respects probably did. Nobody knows for certain what wildcards might present themselves. For instance, not many people predicted a 9.0 earthquake that would lead to a tsunami which would lead to a nuclear crisis in 2011, but it happened. Each event led to and compounded the following event. Absent any major wildcard events, it would appear that the SW Florida real estate market is on solid ground and mounting a comeback. We’d like to see sustained job growth before we’re ready to see sales prices take off, and this is why we know prices will increase, we just can’t say how fast and how high until more of the picture comes into play.